Description: Yet another belfast / butler sink configuration! 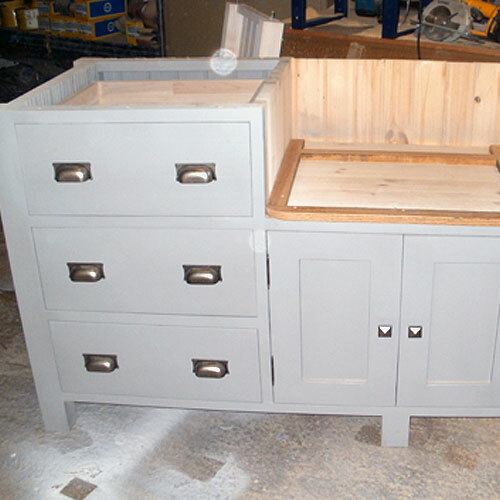 Designed to incorporate a standard 60cm wide sink in the centre, a set of 3 drawers to the left and a cupboard to the right with internal shelf. 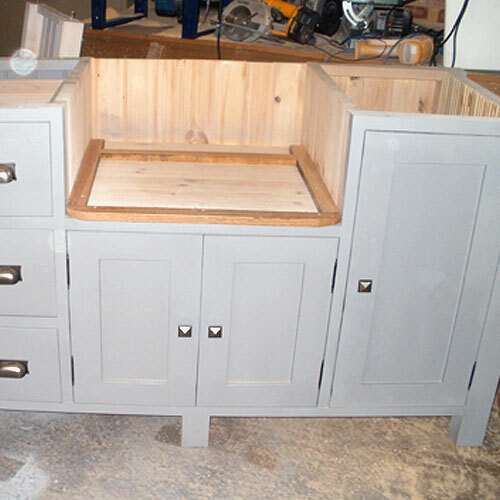 Comes complete with 4cm thick Oak worktop and wooden knobs as standard. 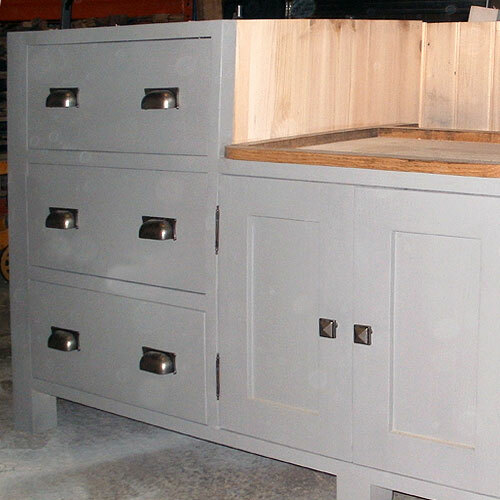 (Handles shown are customer's own). 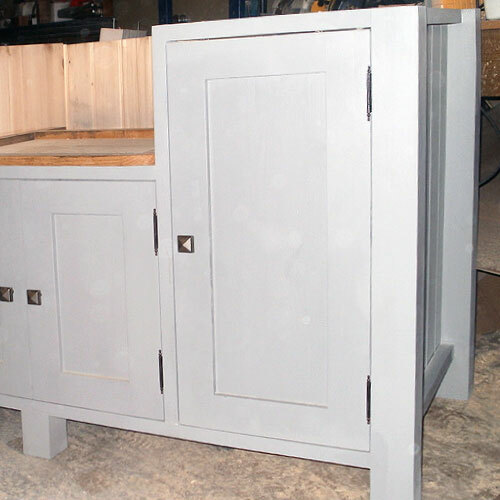 Colour shown: Farrow and Ball, Manor House Grey.